The Service Culture Handbook — Toister Performance Solutions, Inc. The Service Culture Handbook: A Step-by-Step Guide to Getting Your Employees Obsessed with Customer Service. The book features examples from leading companies, practical tips, and step-by-step instructions for creating a customer-focused culture. Every company wants employees who are obsessed with customer service. 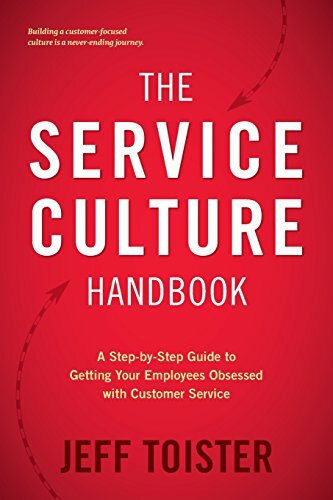 The Service Culture Handbook: A Step-by-Step Guide to Getting Your Employees obsessed with Customer Service can help you create that type of culture in your organization. Discover what elite companies do differently. Learn how they engage employees to embrace a service cultures and deliver consistently outstanding service. The book is a quick and entertaining read that draws upon profiles of successful companies, shares cutting-edge research, and provides practical tools and worksheets to guide you through implementing each concept. Visit The Service Culture Handbook website to download a free chapter.